Paideia is a non-denominational academic framework that was established in 2000 with funding from the Swedish government. Dedicated to the revival of Jewish culture in Europe, Paideia educates leaders for Europe - academicians, artists and community activists - towards fluency in the Jewish textual sources that have served as the wellsprings of Jewish civilization. Once yearly, Paideia together with the Paideia Alumni Association arranges conferences lasting 2-3 days in different cities across Europe, for connecting and sharing among alumni, learning, creating new projects and strategizing. This year's Alumni Conference in Prague was generously sponsored by Paideia benefactors Howard and Diane Wohl, who are longtime supporters of USC Shoah Foundation, specifically its educational work in the United States and Europe as well as the new Visual History Archive full access site at ENS Lyon. It was the largest gathering of Paideia alumni in Paideia's history. 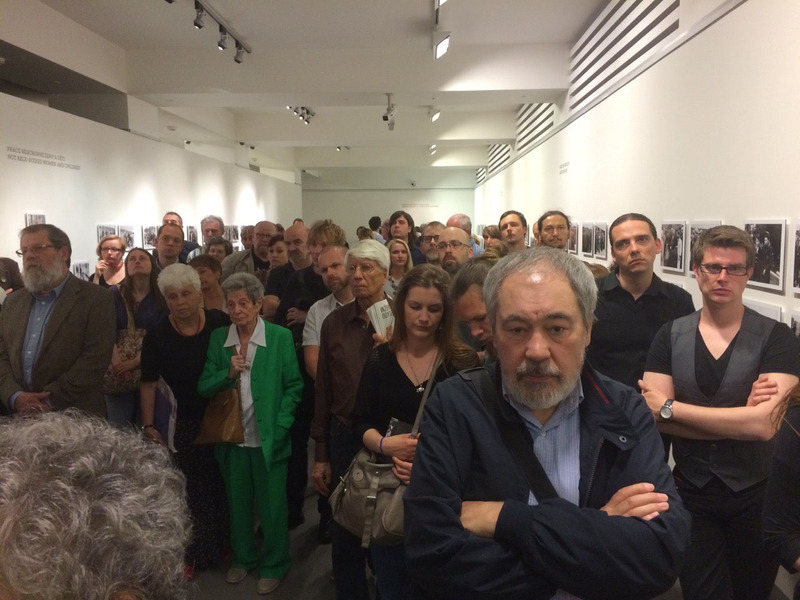 While visiting the Jewish Museum of Prague on May 8, the 100 alumni from all over Europe, as well as the US and Israel, also enjoyed a tour of the Shattered Hopes exhibition led by the its author and the USC Shoah Foundation representative in the Czech Republic, Martin Šmok. Focusing on the return of concentration camp survivors, the settlement of border areas, and the migration of tens of thousands of Jewish refugees across the country the exhibit presents little-known aspects of the history of the Czech lands in 1945-1953. 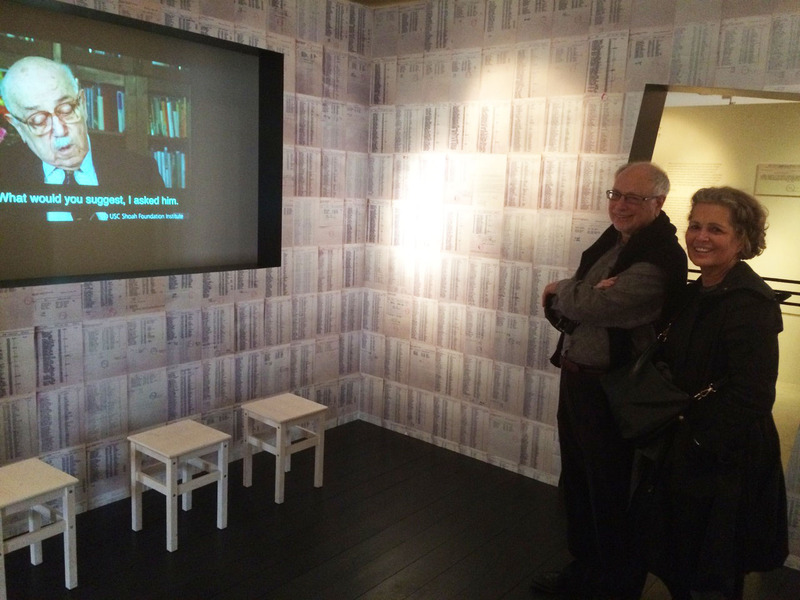 Embedded within the exhibition are two screens showing testimony clips from the Visual History Archive that present the bittersweet return home and the gradual growth of anti-Zionist propaganda in Communist Czechoslovakia as experienced by those who lived it. Subsequent discussions with several alumni from the Central European region revealed the need for capturing such post-World War II experiences, featuring them as an integral part of the local history as well as a source for understanding the underlaying stereotypes and prejudice that did not vanish with the end of the genocide of Jews and those labeled as Jews. The potential for partnership was clearly expressed by one of the Paideia alumni, Mgr. Bc. Ivana Koutníková of The Kurt and Ursula Schubert Institute of Jewish Studies at the Palacký University in Olomouc, who expressed interest in including locally relevant testimony clips into her project of mapping the history of Jewish presence in smaller settlements in the Czech lands, engaging university students and high school students in documenting the often overlooked traces of the recent past in their places of residence. The results of her project may also be shared as a part of the IWalks program of USC Shoah Foundation. 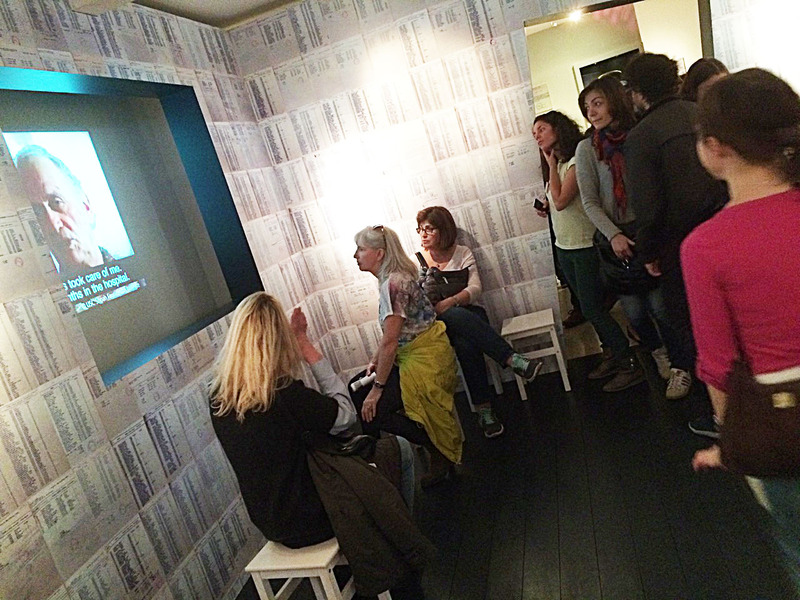 The overall experience had proven once more the immense value of the Visual History Archive as a crucial source of locally relevant memories collected all over the world while the window of opportunity to capture them was already closing, with most of the memory bearers living elsewhere then their original country of birth. A new exhibit at the Prague City Gallery’s House of Photography also opened last week. The exhibit presents all the photos (nearly 200) from the Auschwitz Album, a unique record from 1944 that documents the systematic liquidation of European Jews. The album was discovered by Auschwitz prisoner Lili Jacob; her testimony from the Visual History Archive, as well as the testimonies of Tibor Beerman, Aranka Siegal, Jeno Burger and Sara Gluck, are featured prominently throughout the exhibit. Jacob, who found the album after the liberation of the Dora Nordhausen camp, was also a Czechoslovak citizen, spoke Czech and lived in the former Czechoslovakia for three years after the war. The money that she received in 1947 from the Jewish Museum in Prague for the opportunity to make copies of photographs in the album enabled her to leave the country in 1948. The Auschwitz album photographs first appeared in Czechoslovak publications (1949 – The Tragedy of Slovak Jews, 1956 – The Death Factory). The album and copies of it also played an important role as evidence in the post-war trials of war criminals in Germany and Israel. From the 1950s to the 1980s, the Czechoslovak Secret Police (StB) was interested in the album and its copies with regard to monitoring the individuals involved in this story. A complementary IWitness activity in Czech, using Czech testimony clips and Auschwitz album photographs, titled "Příjezd do Osvětimi - fotografie a osobní prožitky" (Arrival at Auschwitz - Images and Individual Experiences), was recently published in IWitness.